Note: These settings are available to account admins only. Step 3. Enter your debit/credit card details and press “Next”. After pressing Next, we'll confirm your payment details. Once subscribed, your debit/credit card will be charged immediately, and on a regular basis (monthly or annual) until your subscription is canceled. If you're subscribing to an Enterprise plan, please note that Enterprise is offered only on an annual basis. If you have any questions get in touch with our team. If you'd like to subscribe to the Enterprise plan, the most premium and feature-packed of our plans, please get in touch. Step 1. Head into your account settings menu (your initials in the left upper corner) → View all settings. Step 3. You'll see a Payment section with your current card details. Click "Update Card" to update those details. Step 4. 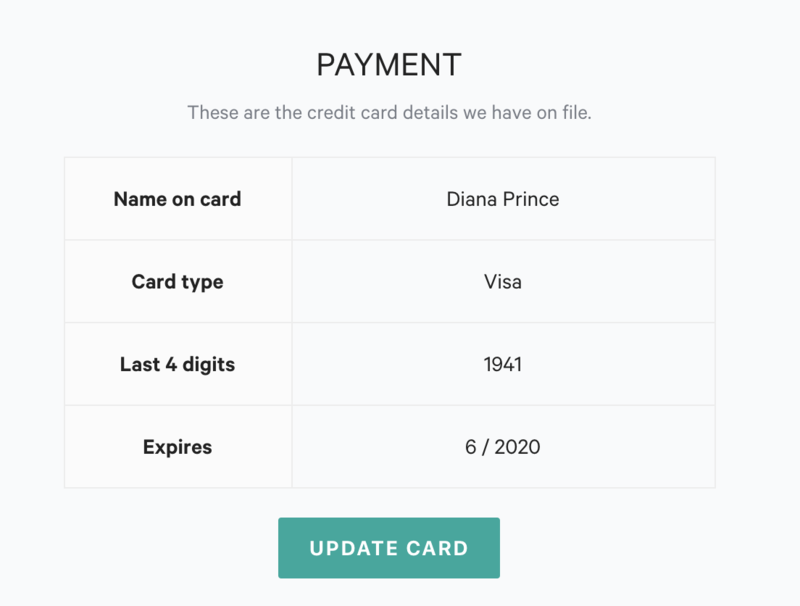 Add your new card details and click “Submit”. Refunds are not offered except as required by applicable consumer protection laws. If you subscribe to a paid plan on a monthly basis, you'll be able to cancel your plan at any time, though you'll still be charged for a full month. Similarly, if you subscribe to a paid plan on an annual basis, you'll be able to cancel your plan at any time, though you'll still be charged for the full 12 months.